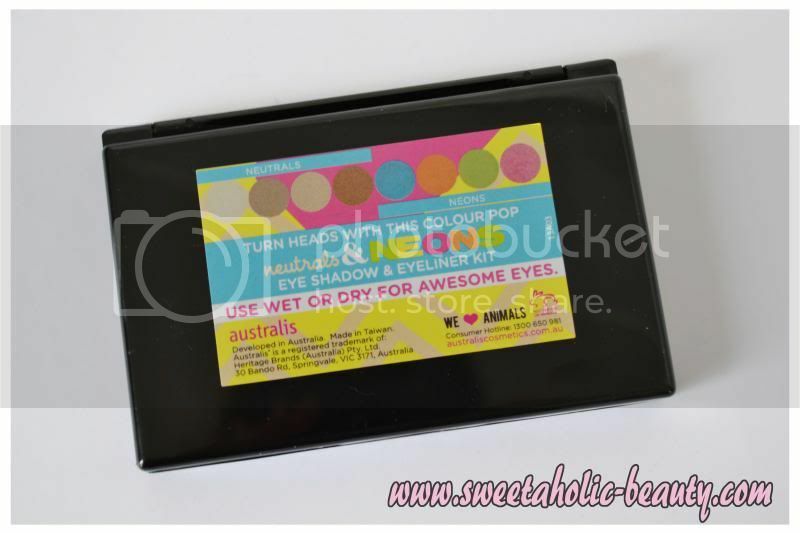 Australis have done it again with another amazing looking Limited Edition palette - a palette I just couldn't say no to! The Neutrals & Neons palette is definitely a fresh idea! I can imagine this would be perfect for taking on a short trip, so you have a range of different colours for different occasions! Like all Limited Edition palettes from Australis, they have full disclosure on what's inside, so you don't bring it home and get a nasty surprise after you open it! They also have a few tips! 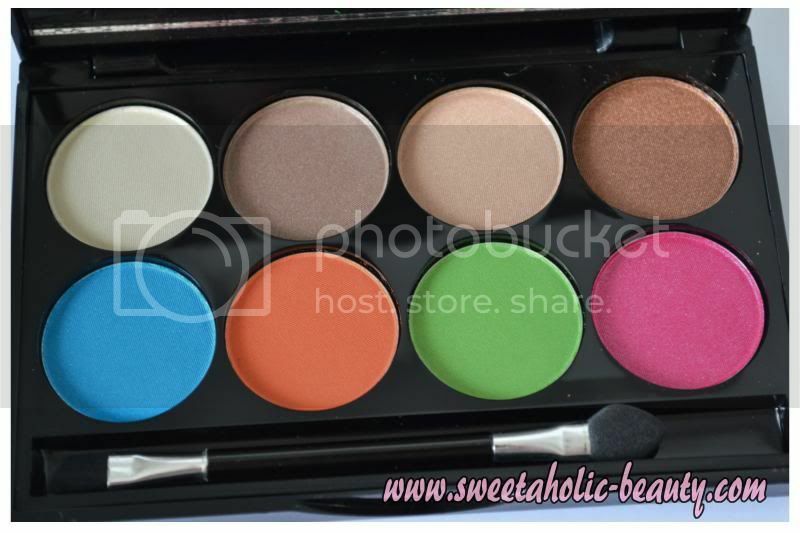 The palette comes with the gorgeous eight colours, as well as double ended applicator! The applicator is actually pretty good, it comes with a sponge end and a brush end, in case you're wanting to use the product as an eyeliner. It also comes with a mirror, which is super handy! Wow, look at those colours! I'm really impressed with the colour selection in this palette. The neutrals seem so easy to use and perfect for any occasion, whereas the neons are something a little different and fun. As you can see, they are very neutral! 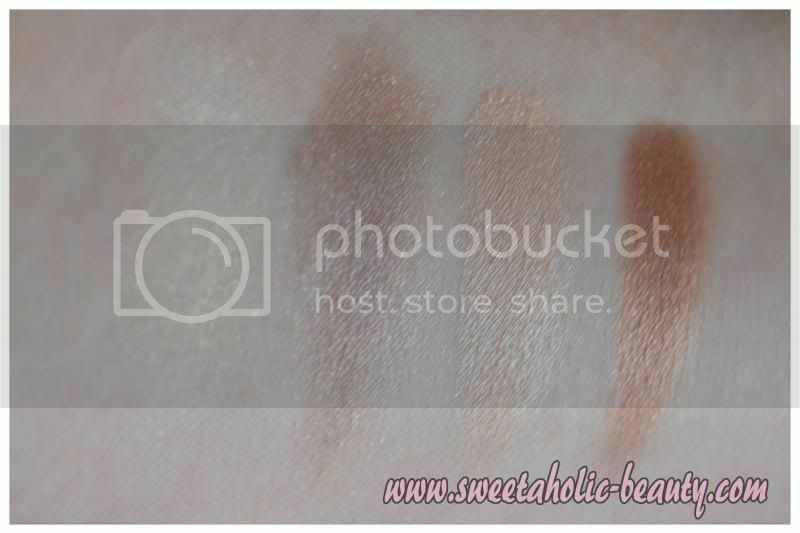 The colour on the left is the sheerest, and works great as a highlighting colour, whereas the darkest colour on the right is nowhere near too dark, which means you can still pull off a fairly natural look! Wow do these colours pop! 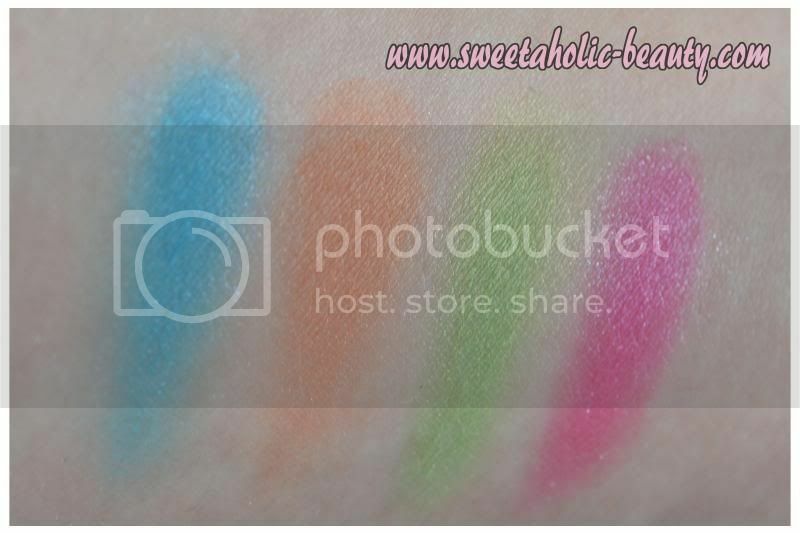 These swatches were taken in direct sunlight without a primer - that's how bright they are! The orange and green are definitely a little sheerer than the blue and pink, but still pack a punch! They can be built up to create a really bold look! With primer, all of the colours worked really well, and have definitely lived up to the reputation Australis has gained over the years. They stayed put all day (or in my case, night!) without smudging or fading. 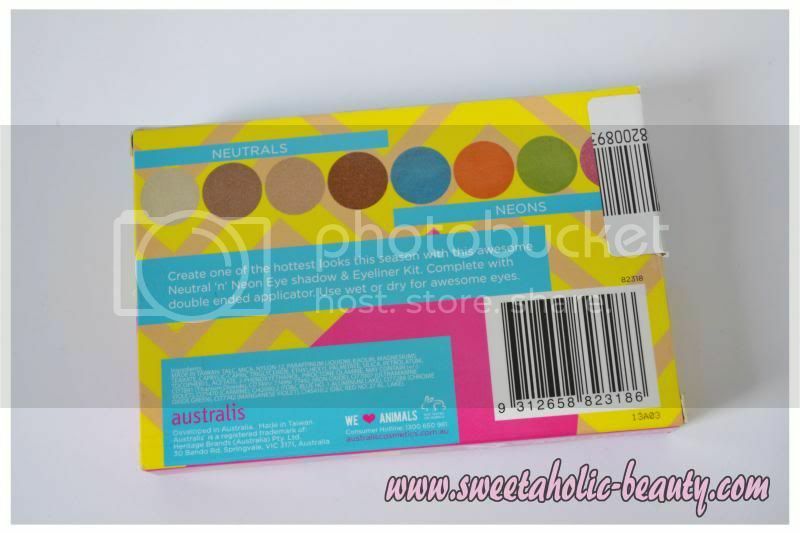 Australis really do have a knack for these limited edition palettes, so I really hope they release more in the future. I'm really happy I purchased this palette, especially for the low price of only $9.99. At first I was a bit hesitant at the idea of bringing neutrals and neons together in one palette, but after buying it, I actually really like the idea of them together. Australis palettes never fail to look chic in my opinion, and with their not-so-expensive price tag, I think we have a winner! 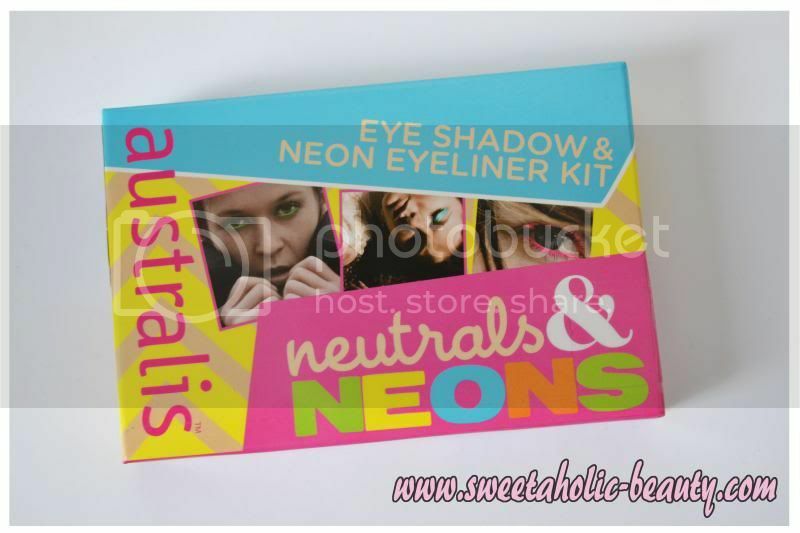 Have you tried the Australis Neutrals & Neons Limited Edition palette? If so, what did you think? Would you wear these crazy neon colours? I'm not a big fan of the neons. They're a great idea, and they would look great on other people, but I'm not that adventurous with my makeup to be able to pull off neon liner. It would be fun to try though I guess. The pink is my favourite. Ahh that's fair enough! I like to experiment with colours but only for nights out and stuff, I would never wear colour like that during the day! I agree with the pink though, it's definitely my favourite as well! I really like this palette, such nice colours! Same, it's so pretty! I'm happy I managed to find it! 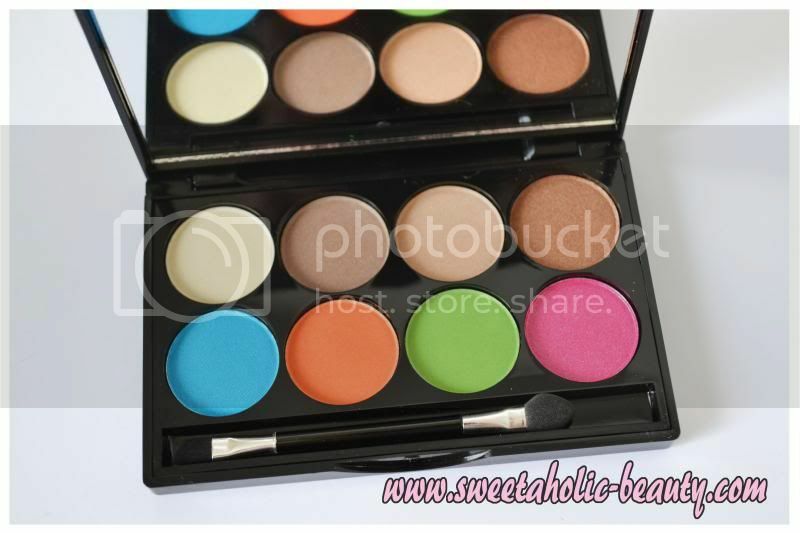 This palette looks really sweet - the formula too! I like the idea of having brights and neutrals together! I'm not a big color wearer on the eyelids, though these are a really good price to give them a go! Perfect for Spring and Summer. I think I would use the neutrals as an everyday look on the lids and then maybe the blue as an eyeliner on the lashline. I think I used to this for school at one point... Idk what I was thinking but it was subtle enough haha! Ahhh yeah that's fair enough! I have to pick up anything Limited Edition (I know, I have a problem) haha so I figured it would be nice to play around with! I know right, it was a bit weird at first but I've grown to like it! I know what you mean though, I already have most of the top four shades in a billion other palettes haha but for the price, I don't really mind! It is a tad strange but I like it all the same! These shades look awesome! I love limited edition palettes! This is an interesting palette with the neutrals and brights! Haha yeah neon is not for everyone! But true it's good for those who like neon! I found the neutrals to be fairly sheer, completely different to the crazy pigmented neons... I think they probably would have done better to just make a neons palette! Pretty shades! I debated picking it up as I definitely use a lot of colours and neutrals but decided against it in the end as I already have plenty! This is really tempting though, love the pink and blue! That's true. If it was just neutrals I probably wouldn't have bothered but the neons really drew me in! So pigmented and bright, I love them!